We've received an influx of emails, comments, and questions on social media pertaining to how InsideEVs handles electric car delivery reporting. Mostly, the questions are surrounding which automakers are estimated on a monthly basis, which are estimated quarterly or yearly, and how the estimates are gleaned. In the end, people want to know how accurate are IEV's estimates? While we will never fully divulge the exact methods, we would love to provide some clarity to help everyone to better understand the situation. This is partly due to the fact that we have a plethora of new users that just don't really understand the big picture. So, let's break it all down for you. Though our new chart is much nicer and easier to read, and we've added the battery icons and asterisks to clarify data, we understand that there are still some loose ends. For instance, how does one know which automakers provide "official" numbers on a monthly or quarterly basis? That is to say - how do readers know which months are estimated versus reported by automakers? We wish we could color-code data or add a ton of disclaimers in every sales report, but that's just not plausible. So, let's take a close look. Tesla does not break down monthly sales figures by country. So, they do not release delivery data for the U.S. at all. Instead, Tesla offers a global look at the end of each quarter. For this reason, our monthly Tesla delivery data is estimated. It's impossible to be 100% accurate. We just want to have the best numbers possible. As a general rule, our monthly and quarterly estimates are within ~5% of actual. In recent months we have been within ~4% of actual on Model 3 sales for instance. At the end of each quarter, after Tesla releases final sales numbers and global data, we adjust our U.S. numbers as needed. We only make adjustments at the end of a quarter and after global registrations are in. We make a note of these adjustments in our monthly sales report. 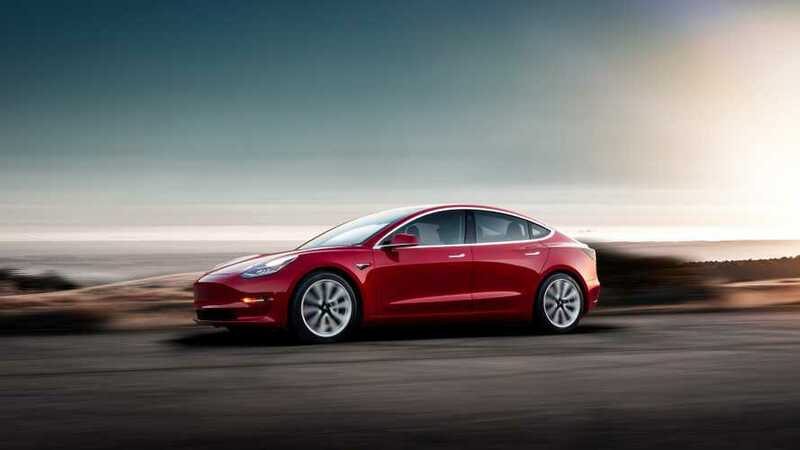 One primary source of data is VIN numbers and additional delivery information reported by Tesla buyers around the web, social media, and to InsideEVs directly. We also use global sales and registration data when available. We place less importance on rumored or "leaked" reports of weekly production, as they vary wildly, are often incorrect, and are not always representative of monthly deliveries. We do consider this information when it is from a source that we trust. GM stopped reporting monthly sales earlier this year. Now, much like Tesla, we provide our best estimate of each month's deliveries based on the movement of inventories throughout the month. We also consider information from buyers that is posted online, or directly to InsideEVs. Fortunately, GM provides the numbers at the end of every quarter and we can reconcile if needed. Much like our Tesla numbers, we've found that our hard work is paying off and needed adjustments are very rare. BMW and Mercedes give us the total number of EVs sold each month. So, you can be confident to know that those numbers are also accurate. However, these automakers don't break down the numbers sold for each model. The BMW i3 and i8, as well as the Mercedes B-Class, are reported. 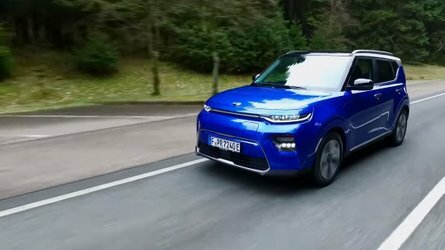 All other models are actually offered with other powertrains, and the automaker does not split out the specific EV sales. For instance, the BMW 3 Series, 5 Series, and X5 have multiple powertrain options, so BMW won't give us the number of how many of the plug-in vehicles were delivered. Similar to GM we provide our best estimate of each month's deliveries based on the movement of inventories throughout the month. We also consider information from buyers that is posted online, or directly to InsideEVs. We combine our estimates for monthly sales ratio between the models with official numbers released by BMW and Mercedes. Hyundai and Kia function in much the same way as BMW and Mercedes. The automakers don't divulge any "splits" between electrified models and ICE models. The Hyundai Sonata, for instance, comes in a plug-in variant and the IONIQ comes with multiple powertrain options, but the automaker only reports total Sonata and IONIQ sales. Sadly, this is one place that our efforts cannot be validated, though we still believe that our estimates paint a pretty accurate picture. To be more clear, the Korean automakers - unlike BMW and Mercedes - don't ever provide us with a total number of EV sales, so we're on our own merits here. Similar to GM, we provide our best estimate of each month's deliveries based on the movement of inventories throughout the month. We also consider information from buyers that is posted online, or directly to InsideEVs. Adding to this situation, Porsche, Audi, and Volvo don't ever give any plug-in electric car numbers/splits. So, like the above, those are only ever estimated and not able to be reconciled. Again, since these automakers produce such a small number in the overall grand scheme of things, this doesn't have a major impact on our overall data collection and final numbers, but it's surely worth divulging. As we've clarified on numerous occasions, Honda reports total Clarity plug-in sales every month, so those are accurate. However, we have to provide you with an asterisk since the automaker doesn't split out BEV, PHEV, and FCEV numbers. With that being said, much like our GM and Tesla numbers, we provide our best estimate of each month deliveries based on the movement of inventories throughout the month and information/registration data that is posted online or directly to InsideEVs. We combine our estimates for monthly sales ratio between the models with the combined BEV, PHEV and FCEV numbers. Additionally, Fiat Chrysler provides zero sales data on the Fiat 500e or Chrysler Pacifica Hybrid. We can check rebate information for these numbers, but it is months and month behind. At this point Nissan and Toyota still provide monthly U.S. data for the general public. Ford did so up until recently, but now it's following Tesla and GM's lead and moving to quarterly reporting. So, in summary, Nissan, Toyota, and Honda are always official, despite the Honda splits situation. Our GM and Ford data is accurate to the quarter and estimated each month. Tesla data is estimated each month and adjusted as needed following the release of global sales and registration data. BMW and Mercedes are accurate on a monthly basis in terms of combined sales, and accurately estimated for the model breakdown. Hyundai/Kia/Porsche/Audi/Volvo/Fiat/Chrysler is entirely estimated, although we're very confident in our data collection and methodologies. In the grand scheme of this whole situation, we can tell you that our monthly plug-in electric vehicle sales scorecard is about as accurate as it can possibly be. We spend upwards of 80 hours every month to compile the most accurate plug-in data available on the web. With all of this said, we appreciate your continued support of IEVs and our undying efforts, regardless of the ever-changing situation. We honestly hope this helps everyone to better understand our situation and methods. Please feel free to submit questions in the comment section below and/or don't hesitate to email me at contact.insideevs@gmail.com. Thanks again for all the awesome support!